Public Storage (PSA) was founded in 1972 and is America’s largest self-storage REIT, owning over 2,400 storage rental properties in 38 states and seven European countries. The company also owns a 42% stake in PS Business Parks (PSB), which leases out commercial space to small and mid-size businesses, and 35% of Shurgard Europe, which owns Public Storage’s European properties. In total, Public Storage serves over 1.5 million customers. The company’s business model provides great short-term visibility because customers typically sign month-to-month leases. This gives the REIT some protection against inflation because it can continually adjust rents within reason to account for higher costs. While Public Storage doesn’t raise its dividend every year, it has reliably paid uninterrupted dividends since 1981. Since inception in the early 1970s, the storage industry has been the fastest-growing segment of the commercial real estate industry, per to the Self-Storage Association. 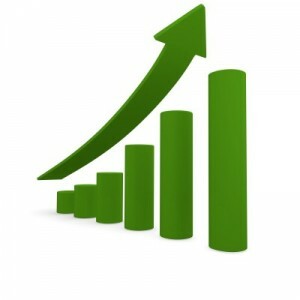 According to the Self-Storage Almanac, there were only 31,947 self-storage properties in the U.S. in 2000. 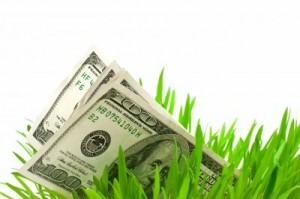 Today, there are over 50,000 properties generating an estimated $38 billion in annual revenue. Increased population density and an aging population have helped drive the surge in storage properties, providing a nice tailwind for Public Storage. However, there’s much more to the company’s story. Public Storage looks like a dependable business for several reasons, starting with its sheer size. The firm is larger than its top three competitors combined and locates many of its facilities in close proximity to each other, which allows it to leverage its costs (property management, maintenance, and advertising) across the company to achieve better profitability. Public Storage also focuses on major metropolitan areas with favorable demographics. Over 70% of the company’s same-store revenues are generated in the 20 metropolitan areas with the highest population levels. These areas are characterized by better incomes, greater population density, and faster growth rates. They also provide consumers with easier access to storage since they are conveniently located (customers store their goods within a five-mile radius of their home or business, according to the company). Public Storage has built up 20+% market share in many of its core West Coast cities (such as Los Angeles and San Francisco) and benefits from the high visibility its locations receive, further strengthening the company’s brand value and recognition. Thanks to its major-market concentration and size, Public Storage can also afford to use television advertising to reach new customers, which few of its smaller competitors can pay up for because they lack scale in these markets. The company’s well-recognized brand and market concentration, combined with the highly fragmented nature of the industry, mean that Public Storage is more likely to appear in unpaid search results for self-storage as well, lowering its cost to acquire new customers. That’s an increasingly important advantage as online marketing channels now drive more than 70% of move-ins for the company. With that said, barriers to entry are still relatively low in the self-storage industry. However, it is harder for new rivals to enter major metropolitan areas because of their higher property costs and increased zoning restrictions. About 35% of it facilities are located in California, Texas and Florida, with the West Coast operations being the most lucrative due to restrictive zoning restrictions and high land prices limiting new supply. 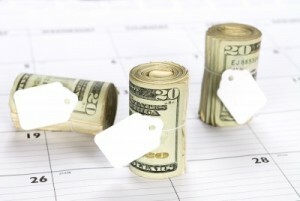 Self-storage warehouses are also attractive because they require relatively low costs to operate. Unlike most other types of buildings such as offices and apartments, these facilities do not need carpet or furniture or much equipment that needs to be maintained. They also require few employees to run them because they are largely self-serve, and much of the work needed can be automated (e.g. security cameras instead of security guards; online reservations). In fact, Public Storage has just 5,600 employees operating its 2,400+ property locations. Switching costs, in terms of moving to a new storage facility, are relatively high as well, including a full day of moving and usually a truck rental. Thus most people are not willing to do so even after receiving notification that rent is increasing. Basically, few consumers are willing to deal with the hassle to move to a rival facility to save $10 to $15 per month, resulting in high retention rates. In fact, nearly 60% of Public Storage’s customers rent for at least a year, According to CEO Joe Russell. As a result, once a storage facility reaches a high enough occupancy level, they generate excellent profit margins, have risk spread across a large tenant base, and require little maintenance capital expenditures to maintain their appearance. Thanks to these qualities, Public Storage will break even on a property at just 30% occupancy, according to management. But since occupancy has been stable over 90% in recent years (and management forecasts 93% to 95% occupancy over the long term) the REIT is able to generate an operating cash flow margin above 50%. 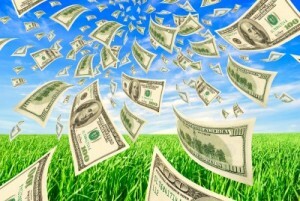 Unlike most REITs, the company’s unique qualities have made it a free cash flow machine over the years. Public Storage’s warehouses pay for themselves and the land owned underneath them, which is quite valuable considering the company’s focus on major metropolitan areas. As long as people continue accumulating personal belongings and experiencing major life events such as an unexpected move, retirement, or divorce, there will be demand for self-storage warehouses. In fact, the self-storage industry’s free cash flow per share fell by less than 5% during the financial crisis, according to a 2013 report by Bank of America Merrill Lynch. While consumers spend less during recessions, they still need a place to store their stuff. Simply put, the industry is quite stable and predictable with a slow pace of change – all good things for long-term dividend growth investors. In addition to the company’s impressive profitability and cash flow generation, its management team has remained disciplined in the company’s expansion. That means avoiding reaching for growth by overpaying for new facilities and maintaining the most conservative approach to debt of any REIT. And despite its large size, Public Storage has just 7% market share in U.S. self-storage facilities, which number over 50,000. The self-storage market is vast in size but also incredibly fragmented. In fact, the top five operators only have about 12% of all facilities, with the remainder owned by numerous regional and local operators. According to Hoya Capital Real Estate just 20% of the self-storage market is owned by REITs. In other words, there remains a long runway for Public Storage to continue consolidating the market. Public Storage has uniquely positioned itself to take advantage of its growth opportunities thanks to the way it has managed its capital structure. Specifically, management has historically raised most of the company’s growth capital not from debt or common equity, but through issuing preferred shares. 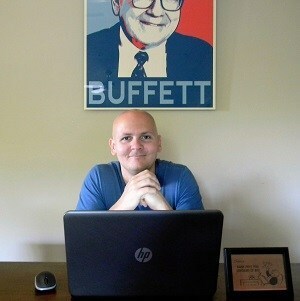 There are two benefits of funding growth this way. First, preferred stock isn’t debt, meaning that by relying on preferred shares the company keeps its balance sheet clean, minimizes dilution for existing common shareholders, and thus maximizes its financial flexibility in the future. For example, if Public Storage wants to make a major acquisition, such as acquiring one of its larger rivals, its strong credit rating (A from S&P) would allow it to take on a lot of cheap debt. In fact, Public Storage is just one of two U.S. REITs with an A credit rating from S&P (the other is Simon Property Group), showing just how financially sound the company is. The second benefit of preferred shares is that, unlike bonds, which eventually mature and need to either be repaid or refinanced (exposing the REIT to interest rate risk), preferred shares are potentially callable. In other words, management has the ability to one day buy them back or not, depending on what interest rates are doing at the time. Essentially, Public Storage’s management has taken a conservative approach to debt that helps to maximize the company’s long-term growth, results in a very safe dividend, and will likely protect it should the corporate credit market ever freeze up, as it did during the financial crisis. For all of these reasons, Public Storage has been able to pay uninterrupted quarterly dividends for more than three decades. While there are plenty of things about Public Storage for dividend investors to like, nonetheless there are two main risks to consider. The years between 2011 and 2016 were somewhat of a golden age for storage REITs, thanks to the new supply of storage facilities growing much slower than demand following the financial crisis. This allowed for strong rental increases while occupancy rates also rose to record highs. According to the Self-Storage Almanac, the industry’s occupancy rate improved from about 80% in 2008 to more than 90% in 2018 (93.2% for PSA). However, the strong economics of this business is attracting new supply which has caused same-store net operating income, or NOI (a key sector profitability metric), growth to drastically slow in recent years. 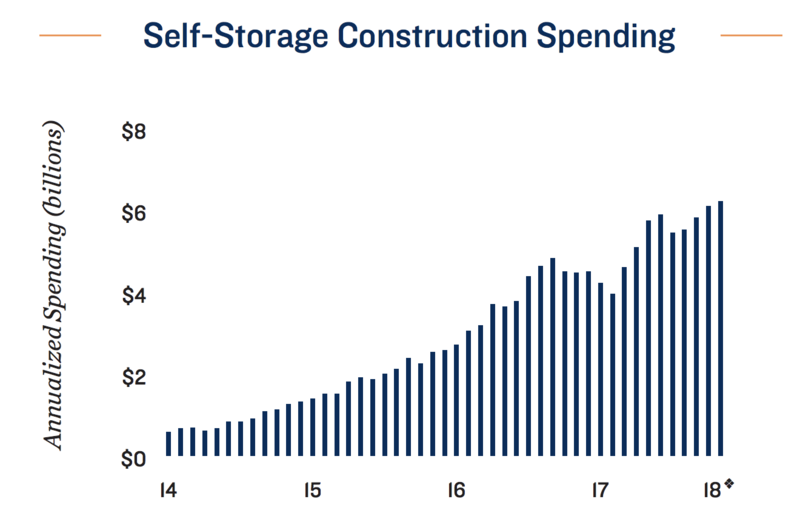 As you can see below, courtesy of real estate brokerage firm Marcus & Millichap, construction spending on self-storage facilities has surged over the last few years. In fact, spending is at unprecedented levels that far exceed even the pre-financial crisis period, which never saw annual spending exceed $1.5 billion, according to The Wall Street Journal. 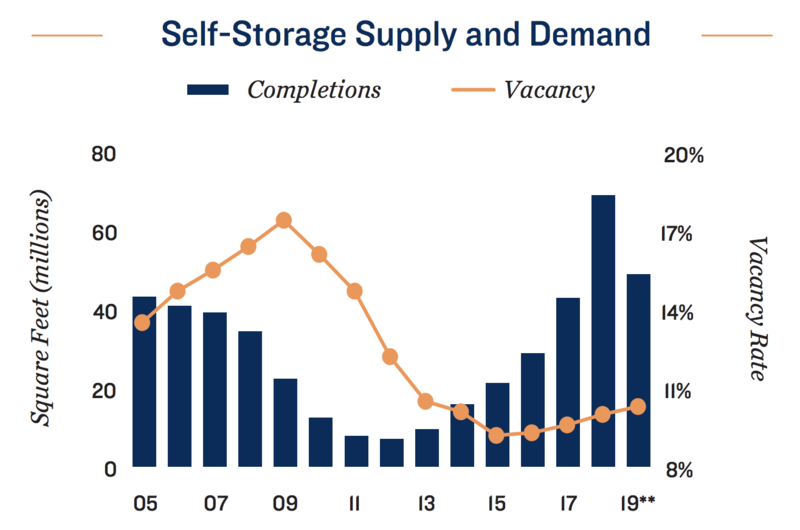 While supply pressures mount, the outlook for self-storage demand is also becoming murkier. Specifically, millennials are waiting longer to get married and buy homes, causing overall U.S. household formation to slow. While many millennials are renting and thus somewhat constrained for space, they also tend to own fewer material things than baby boomers, opting to spend on experiences and travel instead. According to CEO Joe Russell, between 2017 and 2019 about $14 billion worth of new storage facilities are expected to be completed, resulting in weaker pricing power and lower cash yields on new properties persisting across the industry. This explains why Public Storage has steadily pulled back on growth spending in recent years. According to management, 2019 is likely to see similar new property completions as 2018 (about $5 billion worth), which means that in the short term the industry’s struggles with falling pricing power are likely to continue. Fortunately, growth spending industry-wide has started to slow, meaning this problem should lessen in the coming years. For investors, this well-known oversupply risk means Public Storage’s cash flow and dividend growth rate will likely remain somewhat below its long-term averages for at least the next year or two. Low single-digit growth in same-store NOI is a reasonable expectation and should help keep the industry stable by avoiding excess capacity build outs in the future. In 2018 the REIT grew core FFO per share by 3.2%, and the public storage industry is still expected to continue growing over the long term, thanks in part to America’s aging demographics. Between 2012 and 2060, America’s population of those over age 65 is expected to grow by nearly 50 million, according to U.S. Census Bureau projections. Many older Americans are expected to downsize out of large homes to much smaller homes and apartments, especially to help with retirement funding, which creates secular demand growth for public storage facilities. However, it’s really hard to know when today’s growing supply and demand imbalance will abate. Until then, continued rent growth and occupancy rate deceleration could persist, causing storage stocks to see their valuation multiples re-rate lower. And with fewer attractive growth opportunities to pursue, Public Storage’s organic growth is all the more dependent on strong pricing power, which could weaken as well. Investors need to be prepared for top-line growth to slow unless a more substantial decline in storage REIT prices allows management to acquire one of its major rivals such as Extra Space Storage (EXR), CubeSmart (CUBE), or Life Storage (LSI). Finally, while not a risk to the business, income investors considering the stock should note that Public Storage does not raise its dividend every year. In fact, the REIT hasn’t increased its payout since late 2016. While PSA’s dividend is one of the most secure in the sector, this means that anyone desiring annual dividend increases to help offset inflation could be disappointed. There’s a lot to like about Public Storage. Its business generates recession-resistant cash flow, owns premier real estate locations, is managed conservatively, has a solid balance sheet, and should have a long runway for growth given the industry’s fragmentation. However, concerns over new industry supply are unlikely to dissipate anytime soon and could continue to weigh on the firm’s short-term dividend growth prospects. The good news is that investors are largely aware of this risk and have already re-rated the valuation multiples of self-storage stocks lower in recent years. What’s less certain is how long this imbalance will persist, especially since the industry is largely in uncharted territory from a supply perspective. Public Storage appears to have the financial strength and discipline to withstand almost any headwind while continuing to pay reliable dividends, but an investment in the company could require a good deal of patience as the storage industry’s unique fundamentals continue to adjust. 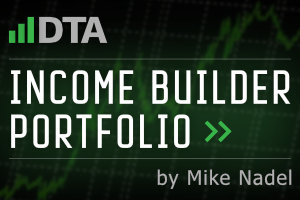 As always, maintaining a well-diversified portfolio with reasonable position sizes is especially important in these situations. As is buying quality blue-chips like Public Storage only when their valuations appear to be reasonable compared to their long-term historical norms.